More passengers, great fares and more incentives with GrabCar! Even more GRAB passengers, just for you! From 4-8 April, we’re giving away FREE GrabCar rides within the CBD, to give you even more trip requests! For these rides, do not charge the passenger. 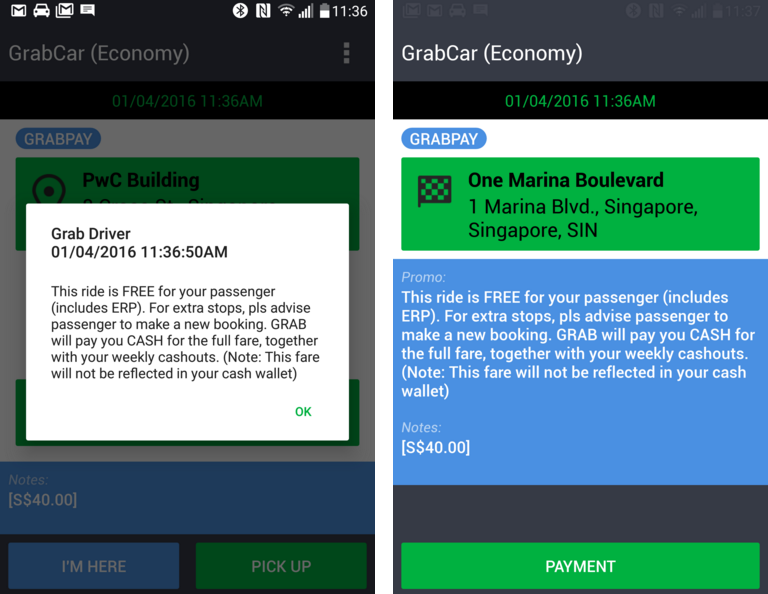 GRAB will pay you the full fare in CASH. On Saturday & Sunday, you have 22 weekend hours of high guaranteed fares! Earn even more with our enhanced Loyalty Incentives! 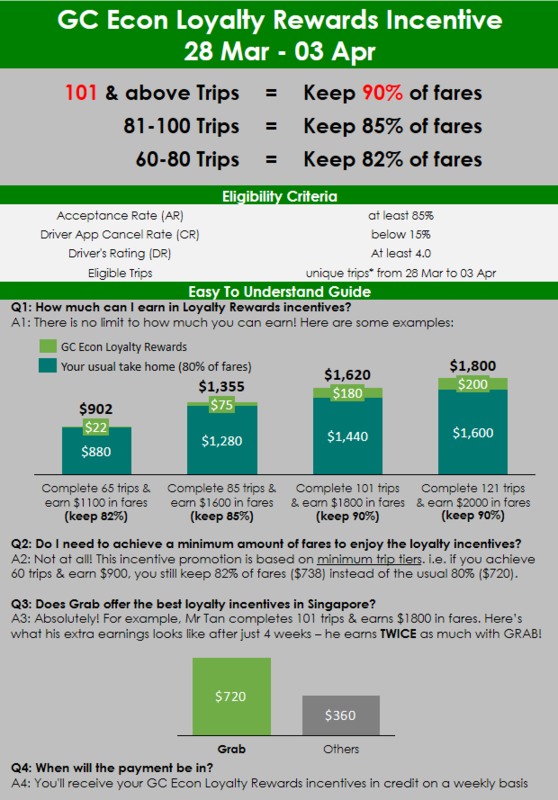 Keep up to 90% of the fares you earn (instead of the usual 80%) with our ENHANCED loyalty incentives for GrabCar Economy trips! 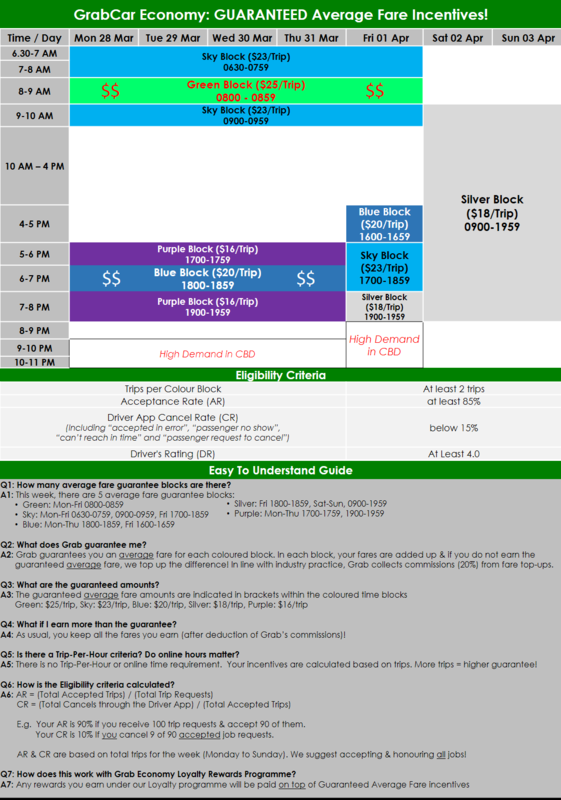 This is a limited-time promotion, so drive more to earn MORE!